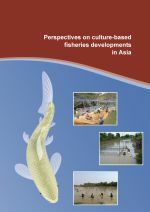 These proceedings report the result of a sub-regional consultation on the existence and effectiveness of environmental monitoring systems for fisheries and aquaculture in the Lower Mekong basin. 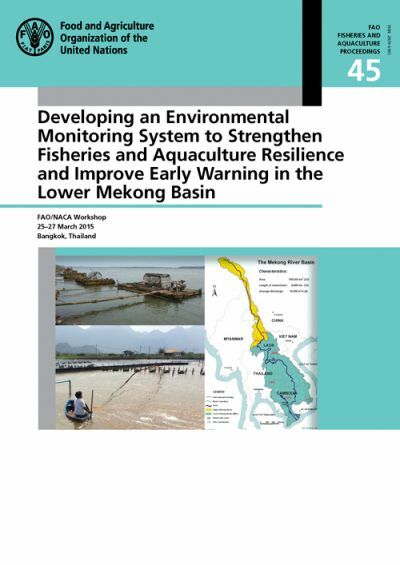 The document also includes a baseline assessment of environmental monitoring systems in Cambodia, Thailand and Vietnam, and the report of a regional workshop to discuss the assessments findings and future steps towards an improved environmental monitoring and early warning system that will contribute to climate change adaptation in fisheries and aquaculture in the area. The consultation identified main climate change related threats to fisheries and aquaculture and determined the minimum environmental variables and/or associated information that should be collected by a shared environmental monitoring and early warning system in order to support decision-making. Information gaps and pathways to the establishment of a shared monitoring system, information base and environmental data analysis platform were identified. The country assessments also reached out to relevant agencies in the target countries to gather feedback on what environmental issues they considered important and what parameters should be monitored to meet these ends. The consultation identified a need to try and integrate the available data produced by existing sources and to build on it, where required, to provide a unified environmental monitoring system capable of sharing data and reporting over different geographic scales, from the wider basin level (i.e. between countries) to the local-level advisories of interest to farmers and fishers. The workshop participants shared assessments and monitoring experiences and identified gaps, needs and policy issues concerning the establishment of an integrated environmental monitoring and early warning system that would better inform and prepare farmers and fishers for hazards associated with climate change and variability and other natural disasters. The secondary purpose of the meeting was to facilitate longterm monitoring of the impacts of climate change on fisheries and aquaculture in the region. The workshop agreed that generation of reports by the system and timely communication of relevant information to fishers and farmers using appropriate communication channels was a key challenge, as accessibility to different forms of media, the diversity of languages in the region, and literacy skills were all substantial issues for often remote communities.